Awesome product and range of flavours! I now have 6 of these flavours, and I'd reccommend them to anyone. First started out with the typical 3, vanilla, strawberry and chocolate. Vanilla is a classic and I put it in loads of things, mug cakes, oats, and baking to subsidise sugar. Strawberry is gorgeous and mixed with my unflavoured protein it tastes exactly like a Yazoo. The chocolate is probably my least favourite, just because it doesn't really taste of chocolate more just like a sickly sweeter version of vanilla with a hint of fake chocolate. I then got the toffee, raspberry and banana. The toffee is gorgeous, makes the best banoffee oats with it, and the raspberry I thought would be similar to strawberry is actually a bit more tangy, exactly like a raspberry is in real life. The banana is a bit lacking, but still very drinkable. 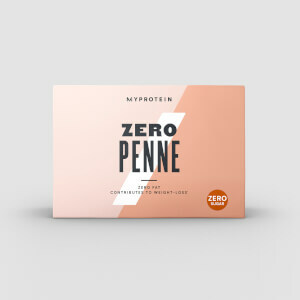 They mix extremely well and I'd reccommend it to anyone thinking of buying, gives you loads more choice when deciding what protein shake flavour to have rather than being committed to 5kg of one flavour! 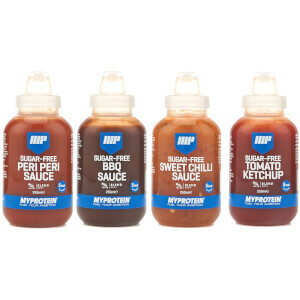 All in all a great product that myprotein does, and although the bottles are small because the liquid is so concentrated you do only need a few drops to get the flavour. Well, during the last four years I've had Cancer twice. This meant that a lot of treatment and surgery has taken place including major brain surgery 6 months ago. Because of the large amount of Radiotherapy I've had my jaw will now only open 3mm. It's been like this for over a year and has resulted in me having a liquid only diet. I am very lucky to have escaped Cancer twice so my diet is free of anything that would encourage the return of another Cancer. My Vanilla Protein Oil is doing a great job of flavouring my almond milk smoothies that are holding HUEL, which is the supplement I mainly live off along with freshly squeezed organic fruit and veg juice. Smoothies made with almond milk. I have tried the Toffee, Strawberry, White Chocolate, Maple, Raspberry and Vanilla flavours - and that's also the order I would rank them in terms of flavour. As many reviewers have said, Toffee is amazing. It has a really true flavour with very little aftertaste - I use it in: - Skyr/Fage Total yoghurt. REALLY brings out the creaminess . 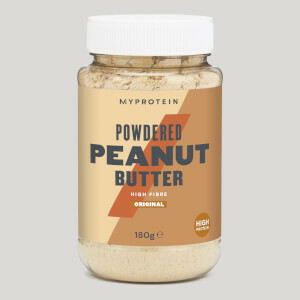 - Loads of Protein Pow recipes such as the peanut butter cheesecake, YUM. 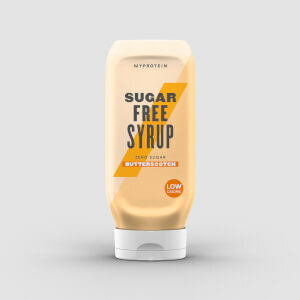 - In coffee, 11 drops instead of granulated sweetener, for that Starbucks syrup taste. - Myprotein unflavoured whey, with a bit of milk and baking soda, chucked in the microwave. GORGEOUS I've bought some for my friend because I love it so much! The Strawberry is pretty much on-par with toffee, beautiful with yoghurt, tastes exactly like the ones you'd buy in the supermarket. White Chocolate is gorgeous too - I'd maybe knock off a few % because it's not as 'flavoursome' as the first two - it is very sweet but a bit subtler with the white chocolate flavour. Maple is delicious, and a close replacement for Toffee if you run out (which I did). The 'mapleness' is noticeable and goes amazingly with cinnamon. It's almost on-par with the others. Raspberry is nice, it tastes identical in yoghurt to typical supermarket ones, meaning it's got a slight bitter tang to it, not as purely sweet as Strawberry. But it has its place - you can put a drop or two into cloudy lemonade for example! Finally, Vanilla is ok, it's a lot more bland than the others for me, and maybe has a bit of an aftertaste. It's definitely not equatable to vanilla essence or extract, it just tastes 'sweet'. I wouldn't buy this again. Skyr, Fage Total yoghurt, coffee, unflavoured Impact Whey Isolate, Milk, all manner of cakes, biscuits etc, cheesecake, fizzy drinks, etc etc. Ive used this for years. I love the strawberry flavour and mix it with my porridge and unflavoured protein concoctions. I HATE however the new packaging which is messy, inaccurate and wastes the product. It dribbles and this stuff is hard to clean and stains anything it touches. Also you can't entirely finish the bottle. I think it's rubbish that myprotein took a good product and put it in poor packaging. I've noticed similar comments on here. Do you think they're listening? Used to be amazing, now tastes like chemicals! The Vanilla Flav drops were amazing, I used them in baking but also commonly in Coffee to create a delicious Vanilla latte. However, around 3 months ago they started coming in new packaging and smelt strongly of chemicals. The flavour was disgusting and felt like it was burning my throat, it wasn't sweet or vanilla flavoured! It seems the ingredients have changed and become predominantly 'Humectant' which was never in there before. I hope you can bring it back to completely natural flavouring as these were delicious but have gone so wrong! Great product but have to take a star off for the poorly designed bottles. The droppers are terrible and very messy. Plus once 3/4 of the bottle was used I had to take the dropper out so that I could use the remainder.Please bring back the pipette! That is my only complaint, love them otherwise. Got the toffee flavour and I love it! The taste is a bit artificial when tasted for the first time, but I got used to it. I put it to my morning porridge and it's definitely like thousand times better. Cant wait to try another flavours! I am just disappointed that strawberry and raspberry ones contain carmine, so it is not suitable for veg people.